From left to right. Back Row; Pauline Bonnett, Florence Bonnett and Claude Bonnett. 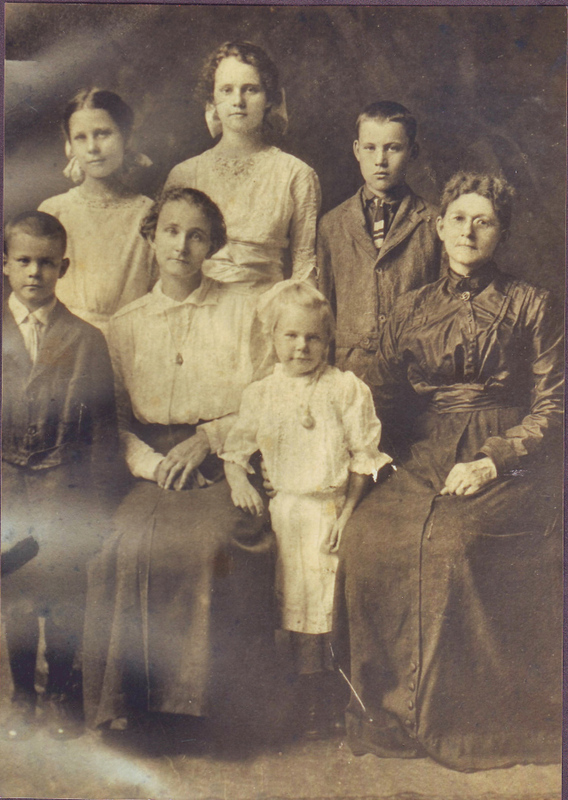 Front Row Harry Bonnett, Bessie Barney Bonnett, Verna Bonnett, and Mary Guyette Barney Douglas. Picture taken about 1913. Helen, I am sorry. Are these also related to you? What a strikingly handsome family!